Whether it be for his acclaimed Miami New Times column or The Mercedes Benz NBA Finals pregame show, Pepe Billete has shown his ability to connect to just about every audience in the United States. But what has truly set him apart in the landscape of professional entertainment writers currently working in the industry is his ability to write engaging high quality content that appeals to every layer of the complex American Latino demographic. From the freshly arrived Cuban exile to the 4th generation Chicano, Pepe Billete’s writing and creative development has been received by audiences and critics with overwhelming acclaim. In just 3 years he has grown into one of the most sought after Hispanic-American comedy writers currently working in the industry. Click here for more details. Pepe Billete has grown from popular youtuber, to a multimedia powerhouse. From print to nationally syndicated radio, Pepe Billete has successfully penetrated media in almost every medium available while maintaining a very healthy growth rate and an unheard of engagement median across all his social media platforms. Pepe Billete’s bi-lingual talk radio show “Pepe Billete Uncensored” airs daily on Sirius/XM channel 153 to over 23 million national subscribers. It is currently the #1 rated show on the channel, and overall, one of the most popular Latino talk show across the entire Sirius/XM network. Pepe’s podcast of the show is also hosted in the Apple itunes store and receives an average of 60 thousand downloads a month. It is ratings like these and his proven record as a social media influencer that have garnered Pepe major sponsorships from national brands such as Redbull and Cadillac as well as full spokesperson endorsement deals with corporate franchises like Tax Pros Inc. Most recently, Pepe was honored with being chosen as the official spokesperson for the new internet url “.miami”. If you speak Spanish, chances are you’ve heard of a “ratchetera” or know what a “pata sucia” is. 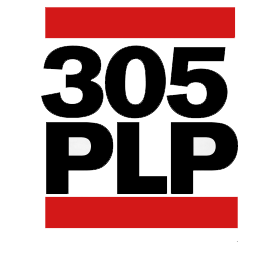 Ask a Latino in Miami what the acronyms “VPLP” and “PLP mean and you’ll be surprised by the answer you’ll keep hearing. Ask anyone who likes rap music about the famous Lil’ Wayne, Miami Heat drama during the big 3 era and you’ll hear the blame placed on 2 Miami New Times writers for instigating an all out war against the rapper that reached media outlets worldwide. At the heart of all of these trends in popular American culture is Pepe Billete. Using his award winning twitter account, Pepe has created trends that have transcended the social media universe and become part of the colloquial language of the Hispanic-American population of the United States. But it doesn’t stop there. He’s been featured on ESPN for his die hard commitment to the Miami Heat, voice sampled by famous EDM Djs and mentioned by name in music by global superstar Pitbull. Pepe Billete’s reach has been so pervasive he was even written about favorably by Harvard Professor Amy Chua in her New York Times best selling book about American culture “The Triple Package”. INTERESTED IN ADVERTISING WITH PEPE? DON’T FORGET: To like us on Facebook!